Ironically, just as Mars leaves your career sector, not only wrapping up his own 6 week visit but all the planetary activity for the year, adventurous lunar vibes are ready to step in and seize an opportunity to embrace the weekend spirit. While work matters will continue to unfold and a turnaround on the income front is underway, there is no longer the pressure to be on top of your game 24/7. Trust that you won't lose your professional momentum any time soon. 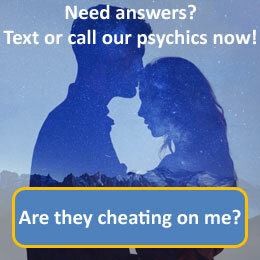 Call 09069 669 607 for a more detailed reading with our psychics today. Libra, the golden scales, is the seventh astrological sign in the Zodiac, originating from the constellation of Libra. Libra is considered a "masculine", positive (extrovert) sign. It is also considered an air sign and is one of four cardinal signs. Libra is ruled by the planet Venus (which also rules Taurus). It is governed by the 7th House (House of Love & Relationships). Individuals born under the sign of Libra supposedly tend to have a graceful figure, a charming appearance, refined features, a high forehead, and a 'trademark' dimple. They are often very good looking individuals and use their good looks well. Librans are diplomatic, fair, cheerful and flirty. They can however be frivolous, gullible and indecisive.